Love the fit, style and comfort! Definitely one of my favorite pairs! I would buy another pair! I love the comfort and styling. Especially the leg snaps. Very professional looking. 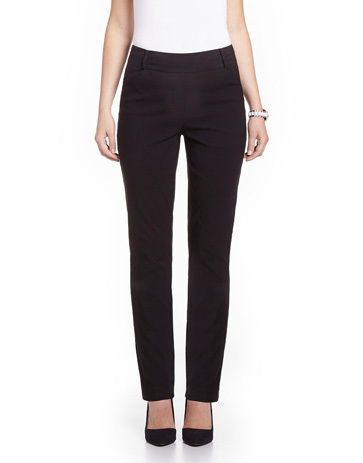 love these slim leg pants and nice detail on side of leg. great fit and nice detail of pockets in back.